The unincorporated community of Boulder Creek is located 13 miles north of Santa Cruz at the junction of Bear Creek, Boulder Creek, and the San Lorenzo River. Boulder Creek is the northernmost of the scenic communities along the San Lorenzo River. Once an area bustling with farmers and loggers, Boulder Creek has begun to draw commuters from Silicon Valley. Offering a respite from the more congested communities of the Santa Clara Valley, Boulder Creek provides a peaceful atmosphere and the scenic beauty of life among towering redwoods. 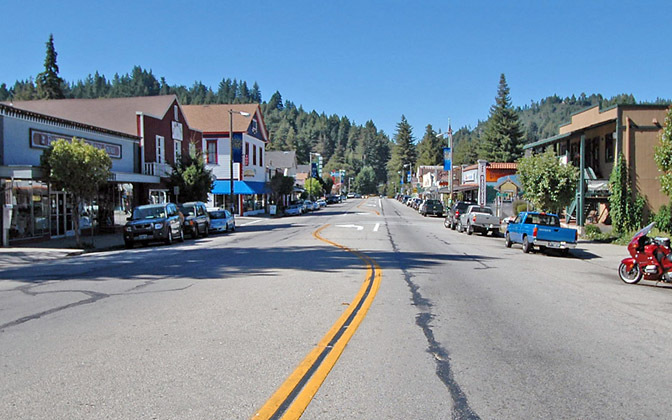 This unique, small town lifestyle includes a library, volunteer fire department, a recreation center, Big Basin State Park, an historical society and museum, vineyards and wineries, a year-round river, annual art and wine festival, and several popular family eateries.